09.27.07 There were three decisive games this round: Morozevich, Kramnik and Gelfand all won while Svidler and Anand agreed to a twenty-two move draw. With two rounds to go this tournament is getting very interesting and it's by no means over. Gelfand - Kramnik will be a key match up in Friday's round thirteen. 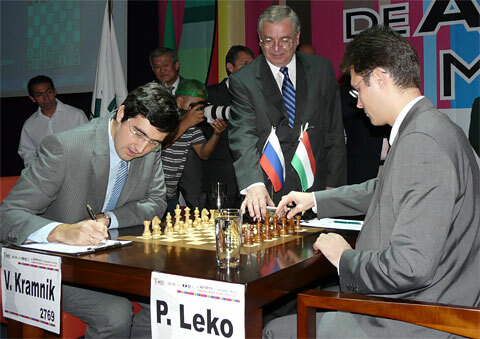 Russia's ambassador to Mexico, Vaˆ�ery I. Morozov starts the clock on Kramnik - Leko. Vladimir Kramnik won this game to pull within one and a half points of the leader with two rounds to go. 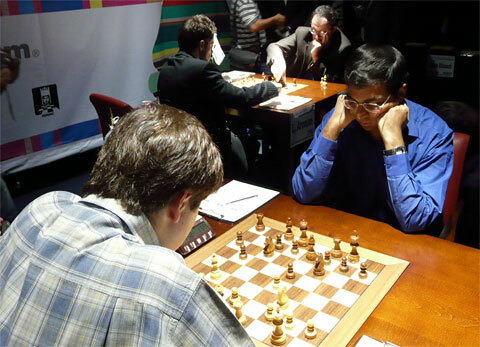 Svidler - Anand with Aronian - Gelfand in the background. 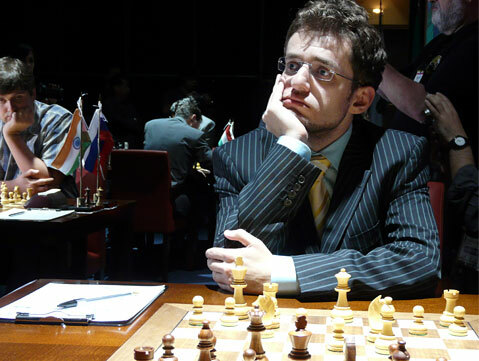 Boris Gelfand is proving to be a force to be reckoned with. 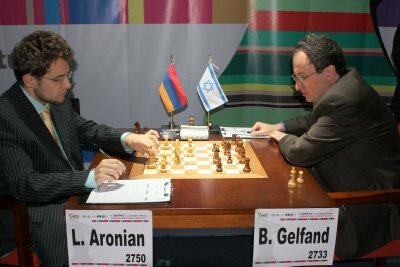 In this game Gelfand playing the black pieces dispenses, for the second time in this tournament, the Armenain super GM Levon Aronian. 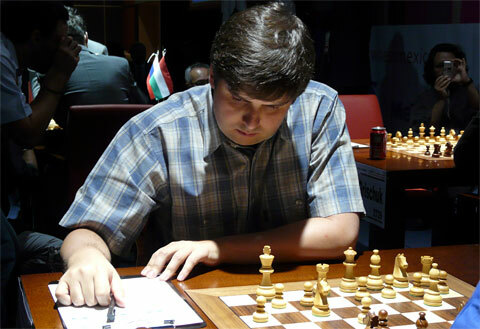 Still without a victory in this tournament: Peter Svidler. Can anyone catch this man? The leader and number one seed Vishy Anand. 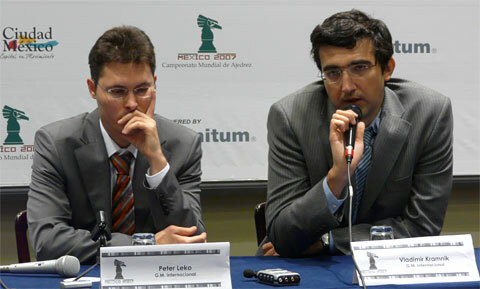 Leko and Kramnik speak to the press after round twelve. 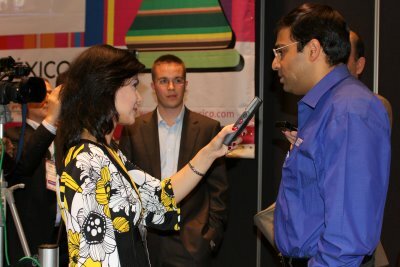 Anand giving his own interview with a journalist.